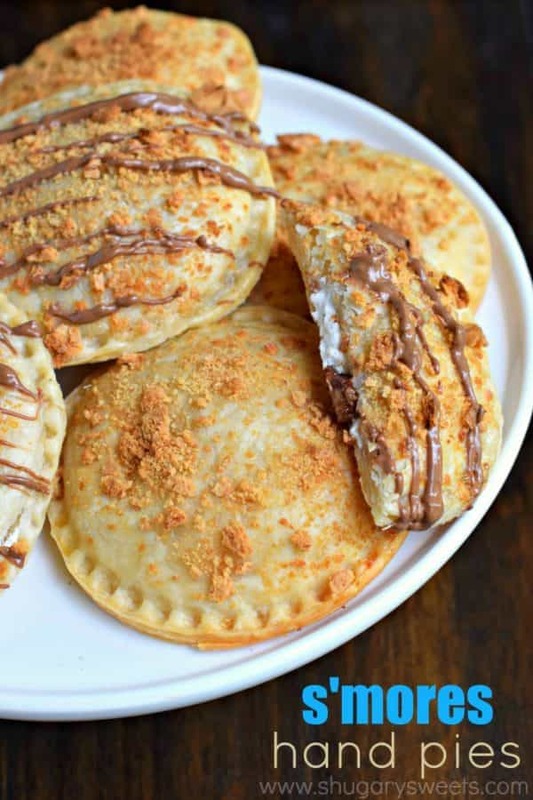 No campfire needed for these Ooey Gooey BAKED S’mores Hand Pies! They’re filled with marshmallow cream and silky smooth DOVE® Milk Chocolate PROMISES and topped with a crunchy graham coating. Who can resist? Summer is officially over. Our kids all went back to school yesterday. And while I love the routine and predictability school entails, I can’t help but miss the fun summer nights! You thought I was going to add “around the campfire” didn’t you? Well, if you’ve read my blog here for any period of time, you’ll know that I do not enjoy cooking s’mores on the campfire. Between the hot flaming marshmallow, and the crazy sticky mess…this mom just can’t handle it. Never fear though, my family is NOT deprived of s’mores. We just enjoy them in another way. 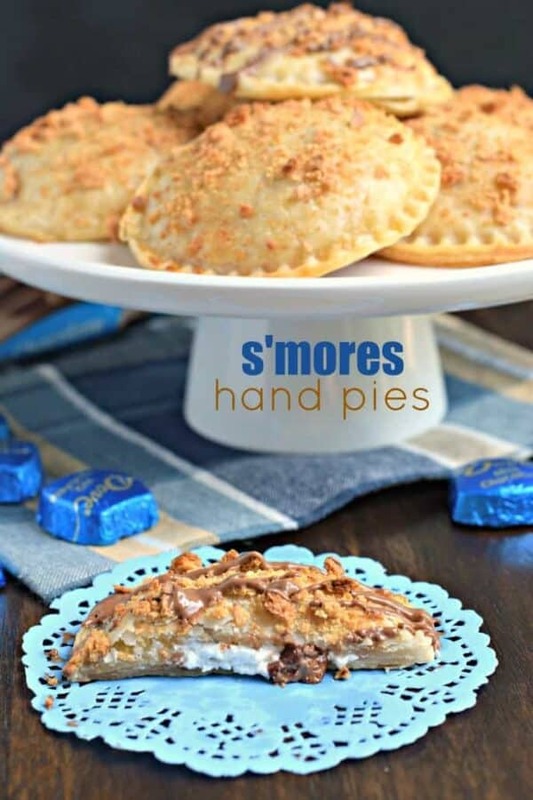 For instance…today’s S’mores Hand Pies. No campfire needed! Plus, I’ve packed them with DOVE® Milk Chocolate PROMISES. You may remember that I’ve partnered with DOVE® Chocolate this year to bring you some insanely delicious treats. When my family sees me break open the bags of DOVE®, they know something wonderful is about to happen for dessert (you may remember this Chocolate Peanut Butter Cheesecake Cake!!!). 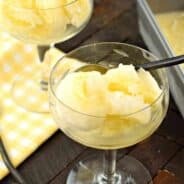 Plus, these are great to make in advance for your next potluck or Labor Day holiday party! The crust stays flaky and delightful for a couple days. I do suggest eating these warm, so tossing them in the microwave (for about 15 seconds) or onto your grill after cooking dinner (for a few minutes is all takes) to help them return to their ooey gooey state! I use refrigerated pie crust as it’s easy and convenient. If you have a homemade pie crust recipe you prefer to use, make sure you have enough crust for two pies. The whole point of today’s recipe though is to keep it simple and delicious for parties! Chop up your DOVE® Milk Chocolate PROMISES into small pieces (about the size of a chocolate chip). This helps them melt evenly in the oven while baking. If you prefer, the DOVE® Dark Chocolate PROMISES are an equally delicious substitution (and as I LOVE dark chocolate I’m a little biased in saying I may just like it better!) My family, however, preferred the milk chocolate. Maybe try making half with one candy, and half with the other! I use a press and seal sandwich maker to cut out my circles for the hand pies (it also does a great job for sealing them at the end). However, if you don’t own one, you’ll just need a 3-inch circle cookie cutter and a fork, to pinch the edges together tightly. USE parchment paper. Without fail, I always have one hand pie that want to open up and release it’s delicious contents onto the pan. Using parchment paper helps keep clean up easy, and the hand pies don’t stick to your baking sheet! Crush those graham crackers! The finer the crush, the more likely those grahams will stick to your crust. 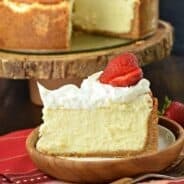 Don’t forget to brush the tops with beaten egg whites first to help them stick. Finish with a drizzle of melted DOVE® Milk Chocolate PROMISES. It’s all laid out in the recipe below, so enjoy!! 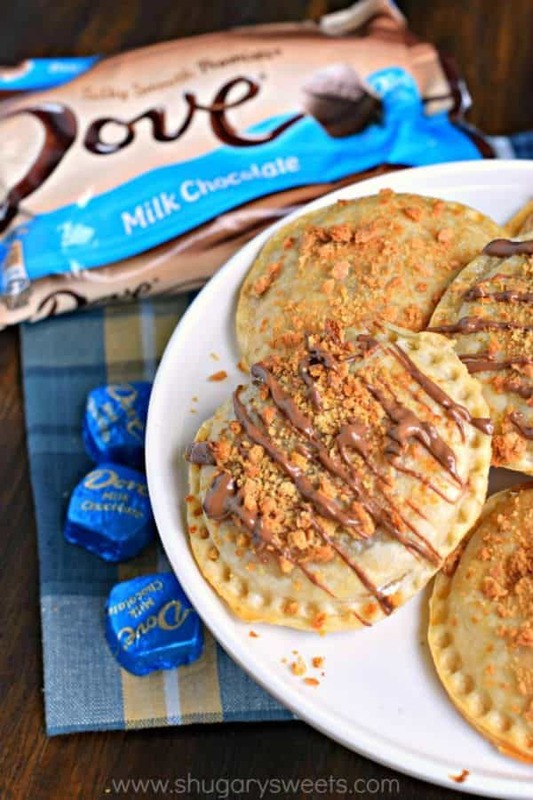 Find some sweet chocolate inspiration over on the DOVE® Chocolate Pinterest boards! 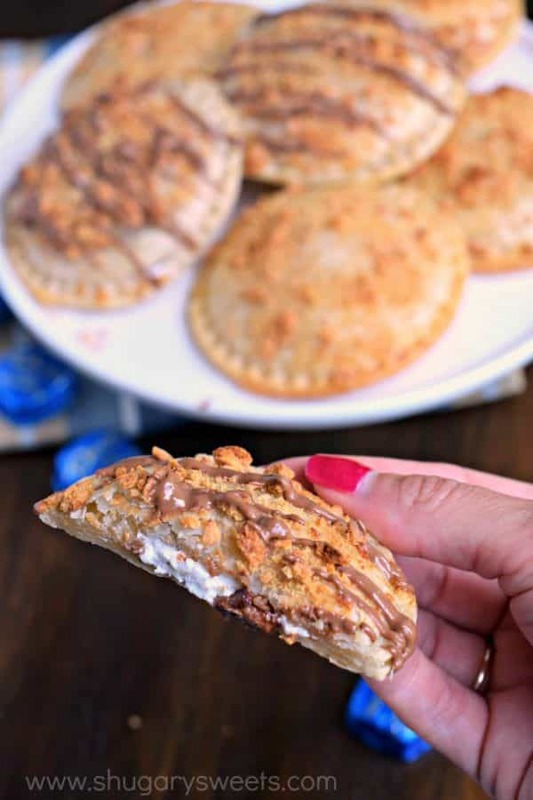 No campfire needed for these Ooey Gooey BAKED S'mores Hand Pies! They're filled with marshmallow cream and silky smooth DOVE® Milk Chocolate PROMISES and topped with a crunchy graham coating. Who can resist? Remove pie crusts from package and allow to come to room temperature while you prep the other ingredients. Preheat oven to 425°F. Line a baking sheet with parchment paper and set aside. Chop about 12 DOVE® Milk Chocolate PROMISES on a cutting board and set aside for the filling. The remaining chocolates, place unwrapped in a small, microwave safe bowl. Set aside for now. Using a 3-inch circle cookie cutter or press and seal sandwich maker, cut out about 8 circles from each pie crust (you may have to roll the scraps to get the extra circles. Place 8 pie crust circles on a cookie sheet. Top with about 1 Tbsp of the marshmallow cream, each and sprinkle on some of your chopped chocolate. Place your second layer of pie crust evenly over each circle. Using your press and seal crimp the edges, or use the tines of a fork to seal each circle completely. Brush each hand pie with beaten egg whites and immediately sprinkle with crushed grahams. Bake for about 11-13 minutes, until pie crust is lightly browned. Heat your remaining bowl of chocolates in the microwave for about 30 seconds, stirring until smooth (add 15 seconds if it isn't melted completely). Drizzle over warm hand pies. Serve immediately and enjoy warm! If making in advance, warm in oven or on grill for several minutes to heat chocolate inside. Or pop in the microwave for about 15 seconds! 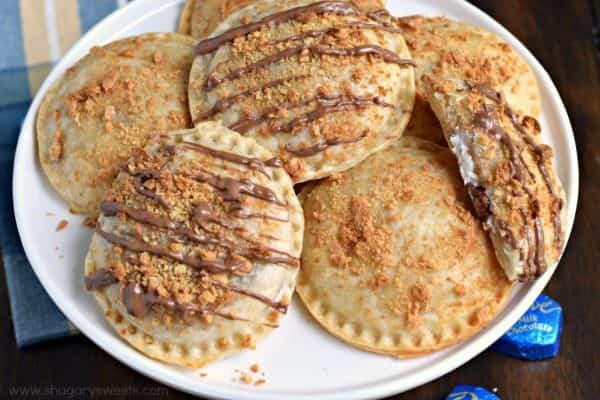 S’mores in a PIE CRUST?! That’s even better than a graham cracker! And I’m not a fan of burnt sticky marshmallows myself, so this is much better. I would not be able to resist eating the entire batch of mini pies! Holy yum!!! And I totally get your phobia of campfires and flaming marshmallow torches!!! 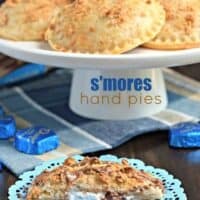 Ooey gooey s’more handpies? Genius, and count me in. I love anything s’mores. Steeling myself for the transition back to school, we’ve got one more week before school starts around here. ohhh my GOSHHH. Gooey smoresy heaven! My kids will go crazy for these pies! So fun! I’m crazy for these handpies – LOVE!! And I’m a huge fan of DOVE chocolate – their stuff – is amazing. Gimme all the s’mores!! These look great!! I am a sucker for anything s’mores! 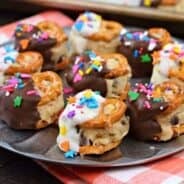 These hand pies look so delicious and I’m pretty sure my little one will love the idea of having her own personal pie!